The tours running between 18-21 April are for conference delegates and partners during the conference. We do however run all day tours daily. Experience some of the most spectacular views in the world. 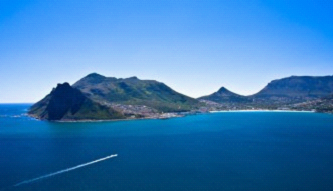 The tour begins with a scenic drive along the Atlantic coast passing through the fishing village of Hout Bay. Here you will have the option of taking a short boat trip to Duiker Island to view the Cape Fur seals. The tour then heads along Chapman’s Peak Drive on to Cape Point and the Cape of Good Hope Nature Reserve. From there we travel to False Bay and return to Cape Town by way of the Simon’s Town naval base where we visit the Penguin colony at Boulders Beach. Travel via Fish Hoek fishing village and Muizenberg to Kirstenbosch National Botanical Gardens for an optional short walking tour of these beautiful gardens. 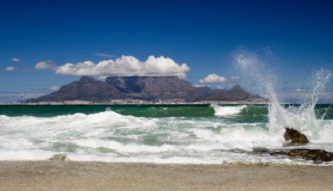 Return to Cape Town in the late afternoon. A comprehensive city orientation tour starting with a trip up Table Mountain by cable car. The state-of-the-art cable car rotates 360 degrees on its way to the top, offering a panoramic view. At the summit are short walks to enjoy the magnificent vistas. We now take a short ride to Signal Hill for a great view of our Cape Town Stadium, Sea Point area and Robben Island. Other highlights include a brief tour of the Malay Quarter, city center, Company Gardens, Castle of Good Hope. Looking to have a day out wining and dine and relaxation then this is what you want Get swept away by the overwhelming beauty of rolling vineyards and perfect blue sky. Start off with a visit to Paarl and the spectacular Paarl Valley. Here we enjoy a wine tasting and cellar tour at one of the local estates. The tour continues north-west to the beautiful village of Franschhoek (Lunch Stop) and then on to Stellenbosch, the second oldest town in South Africa and the historic heart of the country’s wine region. The final wine-tasting will take place here at one of the well-known estates. The District Six Apartheid Museum(closed Sundays). This is the apartheid school and the gateway to the understanding of the existence of townships. Langa, the oldest formal township in Cape Town. Visit projects in the Township such as crafters, schools and crèche. A local Shebeen(tavern- beer optional). Make an appointment with a traditional healer. Interaction with local township people, more than half of our population live in townships. The District Six Apartheid Museum(closed Sundays). Langa, the oldest formal township in Cape Town. Visit projects in the Township such as Crafters, schools and crèche. A local Shebeen(tavern- beer optional). Make an appointment with a traditional healer. Interaction with local township people, more than half of our population live in townships. 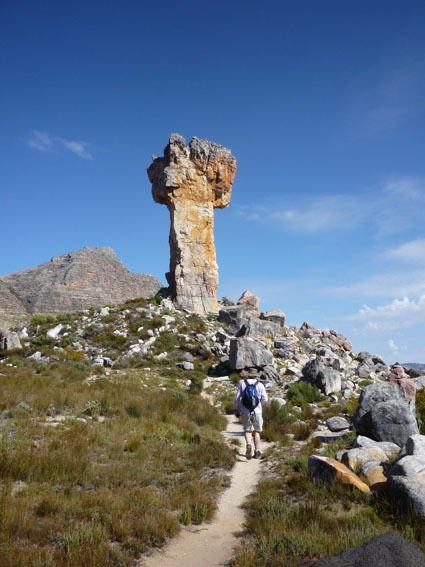 Depart Cape Town and travel north along our west coast via Malmesbury, Moorreesburg and on to Citrusdal. Optional light lunch and last option for last amenities before we travel into the Cederberg over the pass. On arrival at Sanddrift check in with booking formalities and permit collections. Time permitting we can have a wine tasting at the Cederberg wine cellar As Sanddrift have no restaurants we cater for the duration of the tour. Tonight we have a traditional braai (BBQ). Early morning start. As today we hike up the cracks and onto the Arch. Today’s hike starts with a steep gradient and scrambling over rocks. 1-2 hours hike to the Arch. Lunch at the arch before we return back the same route. Arriving in the early afternoon in time for a swim in the river or in the Malgat pools. This evening we will have a chicken BBQ. Short drive to the parking area to Maltese Cross. This is a half day hike with a straight gradient up and down. On return we have a light lunch and pack up for our return trip to Cape Town arriving in the early evening. View the awe-inspiring Panorama sites, experience local culture, and enjoy 'Big 5' game viewing. Steeped in legend and history, the iconic Kruger National Park is waiting for you to explore its vast landscapers and spectacular African wildlife. Enjoy thrilling game drives and walking safaris – find out what it is like to be close to a pride of lion, feel the excitement and intensity of a South African safari. We depart on an early morning closed vehicle Safari for half the day in search of any animals we have not already seen in the reserve before our departure back to Johannesburg which will take about 5 hours. COST INCLUDES: Qualified guide, Conservation fees, 2 open vehicle safari drives, and 2 nights’ accommodation in Kruger National Park subject to availability and are subject to change. On our Garden Route group tours you'll journey along some of the most beautiful stretches of landscape in South Africa. This is a popular exploration route with locals and travelers from around the globe, for good reason, as the scenic route offers unparalleled beauty and ecologically diverse settings along the way. A Garden Route trip is appealing to everyone and, from locals in Cape Town to travelers from abroad, you'll find the route busy all year round. Due to its popularity, a vast range of accommodation spots have opened along the way offering luxurious comfort and charming ambiance. Incredible restaurants, interesting shops and a range of activity-stops are also standard along the way, making for an entertaining journey indeed. When travelling the Garden Route, sightseeing and spending time in natural surroundings is the most alluring aspect of the trip. Some of the most exquisite environmental landscapes in South Africa stretch in every direction along the winding route - it's apparent why this journey is at the top of the list when it comes to travel. From Western to Eastern Cape, you have the chance to see lagoons, lakes and some of the most exquisite beaches in the country. Lush indigenous forests and mountainous terrain will take your breath away too, and they certainly make for exceptional photographic opportunities. With this Garden Route tour, you have the advantage of being able to enjoy the impeccable landscape without worrying about any of the pre-planning or travel details; you can simply sit back and relax as we take you on the journey of a lifetime. Along the way you'll have the chance to stop at some renowned destinations on the route - enjoy wine tasting, game viewing, delectable meals in serene settings and much more – all while embracing the utter relaxation that comes with knowing every detail has been taken care of for you on your Garden Route tour. To experience some of the most noteworthy spots in the Cape, bask in the tranquil atmosphere on one of our carefully planned Garden Route group tours.